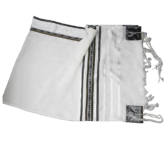 This simple, yet very elegant tallit set is adorned with fine traditional stripes. 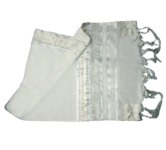 The chromatic tone is a feminine one – pink. 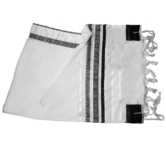 The full blessing is hand embroidered on the neckband using Hebrew silver letters. 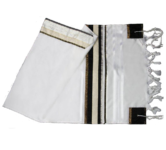 The price includes the easy to use matching tallit bag and a kippa, both of them made of silk and bearing the same decorative elements as the shawl. 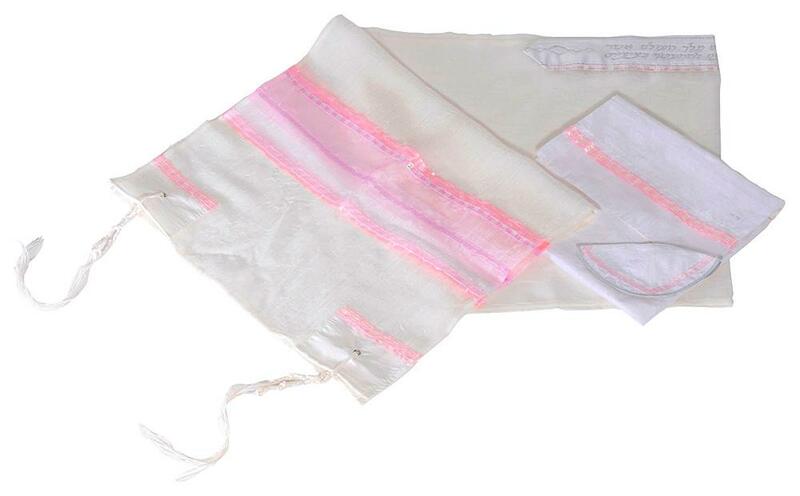 This silky set is the perfect choice if you are looking for a present for a Jewish young woman.